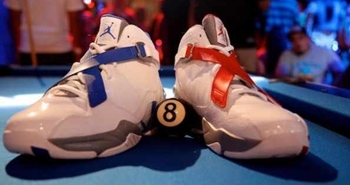 Jordan Brand continues to improve their Air Jordan numbered series with critical tweaks and they will get attention once again soon with the release of the much-improved edition of the famous Air Jordan VIII. Dubbed as the “Air Jordan 8.0”, this silhouette will come out in White/Grey-Red and White/Grey-Blue colourway, which looks simple but is said to feature topnotch performance-based qualities. With the noise that it is currently making, expect this shoe to be a huge hit once it is released in the market!